Rembrandt Secondary has once again won the UIL District 32-3A Science Team Championship!!! Although, we are known as a Fine Arts Chapter, our students have demonstrated that we can excel in various academic areas. 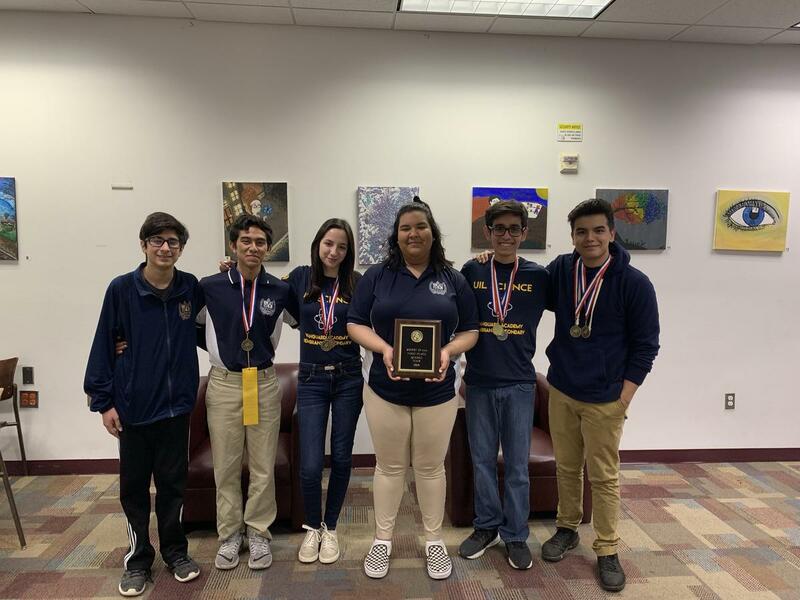 This past Saturday March 30th, our students retained the University Interscholastic League (UIL) Science Championship at Santa Rosa High School. The team was composed by Jorge Martinez, Bryan Cantu, Arianna Mejia, Alejandro Garza, Jared Loera, and Mikaila Alonzo. Jorge Martinez: 1st Place and Biology and Chemistry Champion. The science contest challenges high school students to do a wide range of reading in advanced biology, chemistry and physics, to gain an understanding of the significance of experiments rather than to recall obscure details, to be alert to new discoveries and information in the areas of science, to gain an understanding of the basic principles as well as knowledge of the history and philosophy of science, and to foster a sense of enthusiasm about science and how it affects our daily lives.The contest consists of a two-hour objective test with 60 questions – 20 from biology, 20 from chemistry and 20 from physics. Overall the Science Contest serves as powerful platform to motivate students to strive for future careers in science, medicine, and engineering.